Imagine an outdoor enrichment program in the Botanic Garden with storytelling, writing, reading and fun activities. 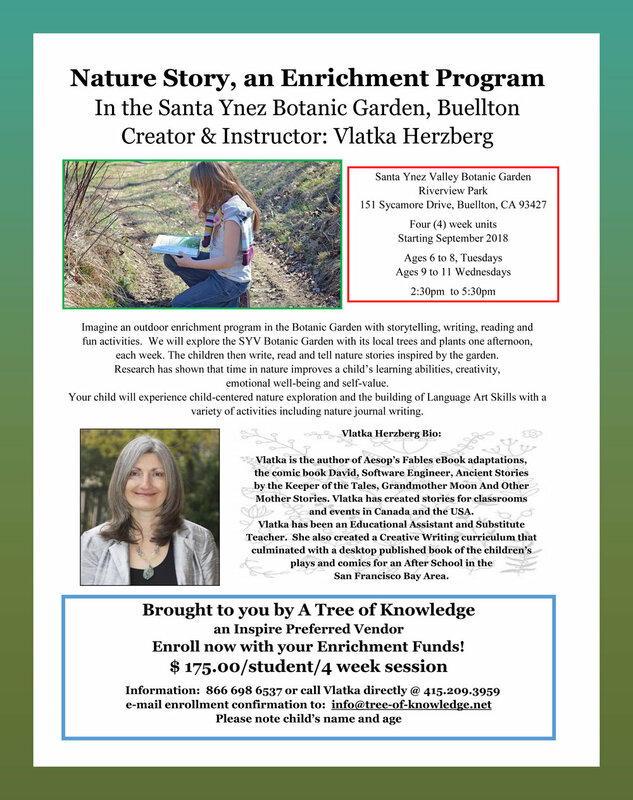 We will explore the SYV Botanic Garden with its local trees and plants one afternoon, each week. The children then write, read and tell nature stories inspired by the garden. Research has shown that time in nature improves a child’s learning abilities, creativity, emotional well-being and self-value. Your child will experience child-centered nature exploration and the building of Language Art Skills with a variety of activities including nature journal writing.